Fully prepared pizza sauce with and spice is a delicate blend of spices and salt with added soybean and olive oils. It is prepared from fresh tomatoes that have been washed and hand sorted for quality prior to grinding. 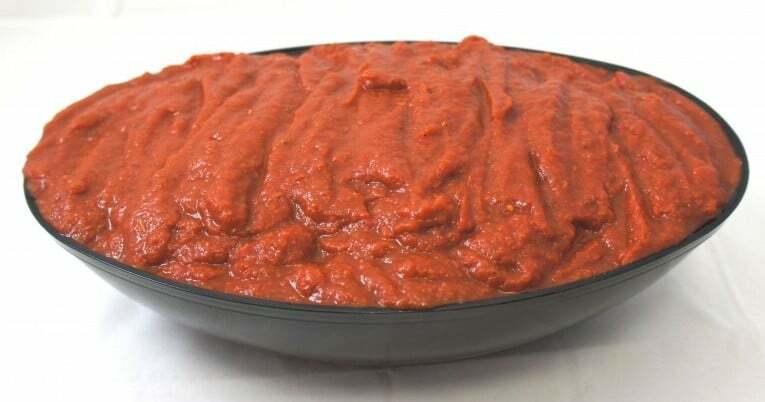 Fully prepared pizza sauce with oil and spice has a coarse finish and may contain seed particles and occasionally a whole seeds. It has a bright red color.